On 1st April 2017 the Government announced a 10 bps interest rate cut across all small savings schemes offered, from Senior Citizen Savings Schemes to Public Provident Fund and mind you this is not the first cut over the last year when the government decided to revise small savings rates every quarter depending on economic/market forces. A decline in rate adversely affects millions of people invested in these schemes, especially retired people who depend on interest earnings for a living. Every couple of months, whenever there is a RBI Policy review, we hope for a repo rate cut by the RBI. 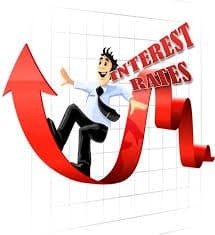 A rate cut would bring down the cost of borrowings for not only individuals having home loans, auto loans or personal loans but also large corporate who have bank borrowings. Only if we could have a low interest rates for borrowers & a high interest rates for investors , but in reality it is not possible.Thus it is a fine balance which has to be maintained to satisfy both groups of people, the net borrowers & the net investor. Nothing comes free of cost and is ultimately passed onto the final consumer. A high interest rate deters new investments by corporate, so new capacities don’t come and thus new jobs are not created. The cost of existing loans are high, thus they are passed onto the cost of the final product sold. A costlier product will mean higher inflation. High inflation and slow GDP growth is not good for the economy. That is why we always look forward to a rate cut by the RBI. Possibly we should look at real returns from our investments (net of inflation) rather than the actual returns we get on savings. What is the point in the government assuring us 8% returns when inflation is at 10%? In the current scenario inflation is at 3-4%, the 10 year G-sec is hovering around 6.5-7% while the government is offering 7.9-8.4% on small savings. Thus we are earning more than 400 bps above inflation & the Government is paying significantly higher than at what rate it is borrowing. The government would be paying this additional rate from the tax collected, and thus as tax payers we should not be complaining about a declining interest rate. At the end of the day, it all depends on which side of the coin we fall on. The interest rate dilemma is something which possibly cannot make everyone happy. But I still believe that given low inflation currently we are in a good situation with small savings interest rates currently.